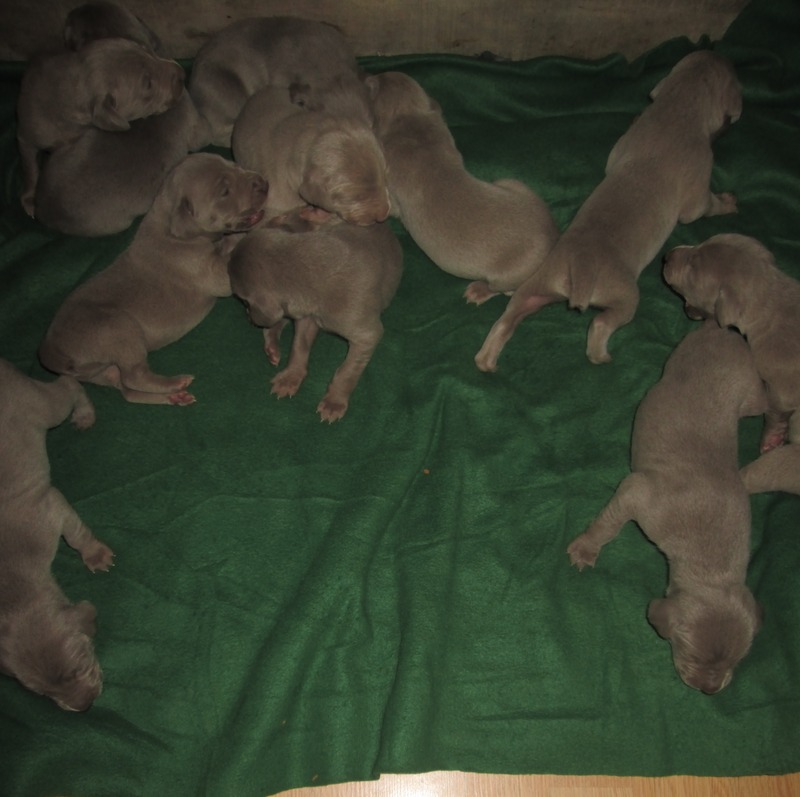 12 puppies born Halloween 2015! 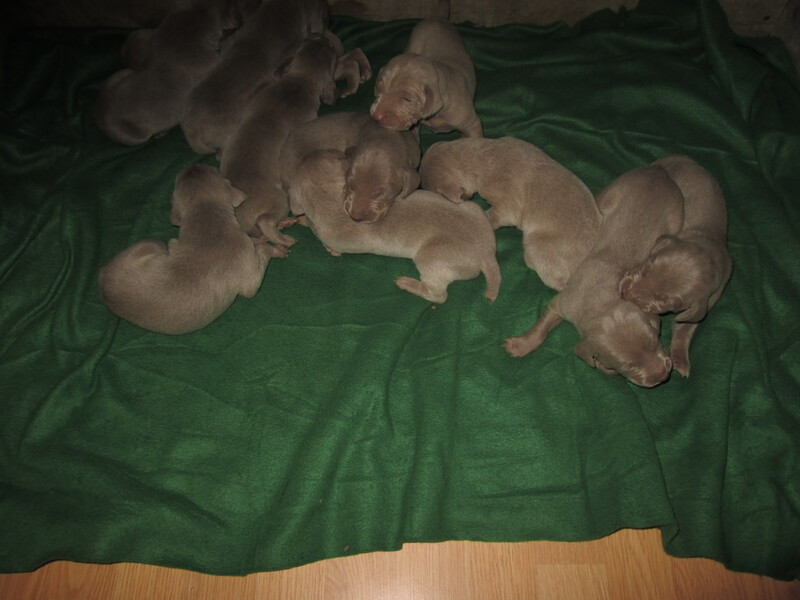 All beautiful and healthy, 7 girls and 5 males. 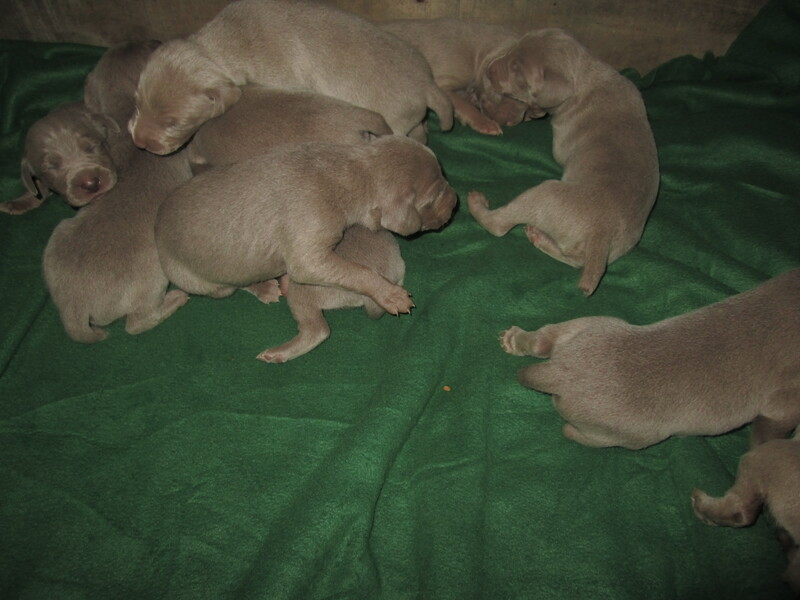 One the of the girls was born smaller than the rest so with my Vet. 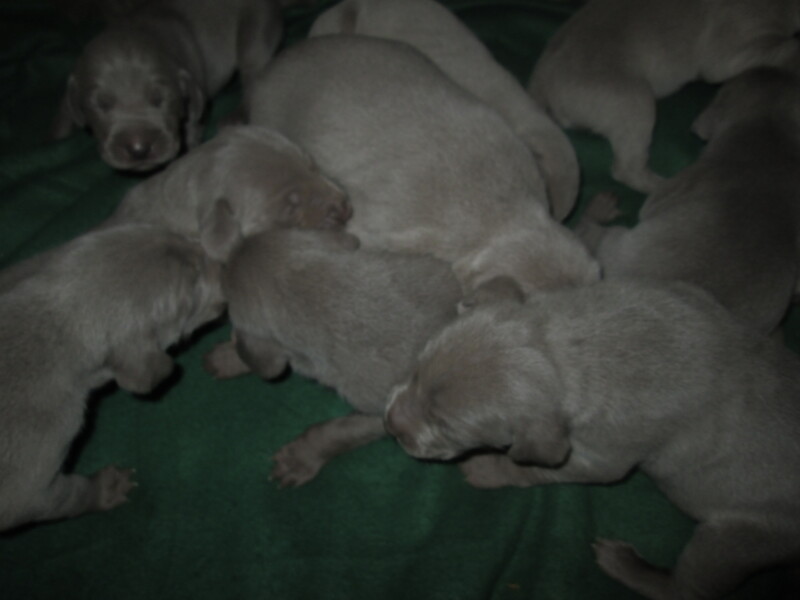 's approval, I have her nursing with Brook's litter of 8 born the same day. 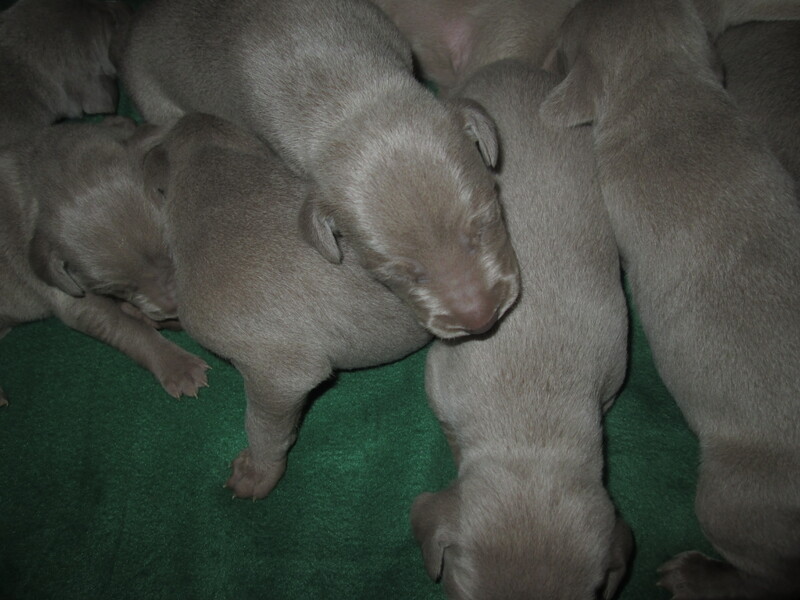 All of these strong Bugatti puppies are doing great and growing quickly. 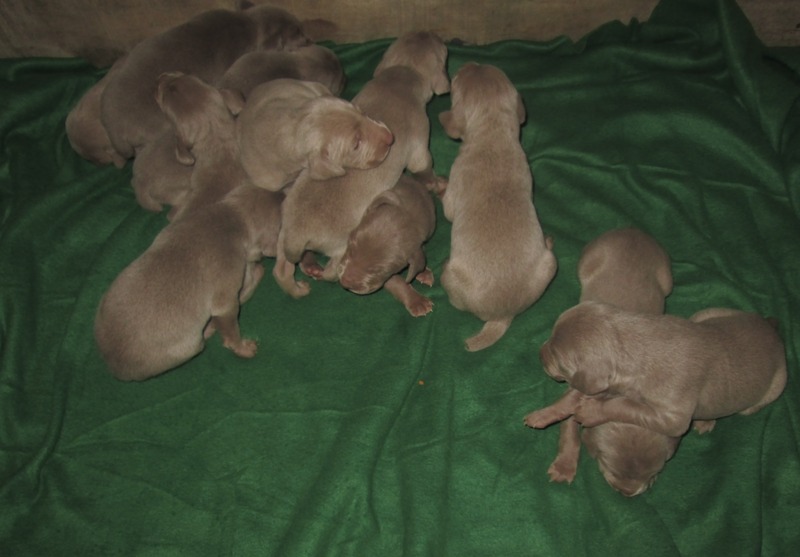 They are opening their eyes and walking around like little frogs at 2 weeks old in the pictures below. 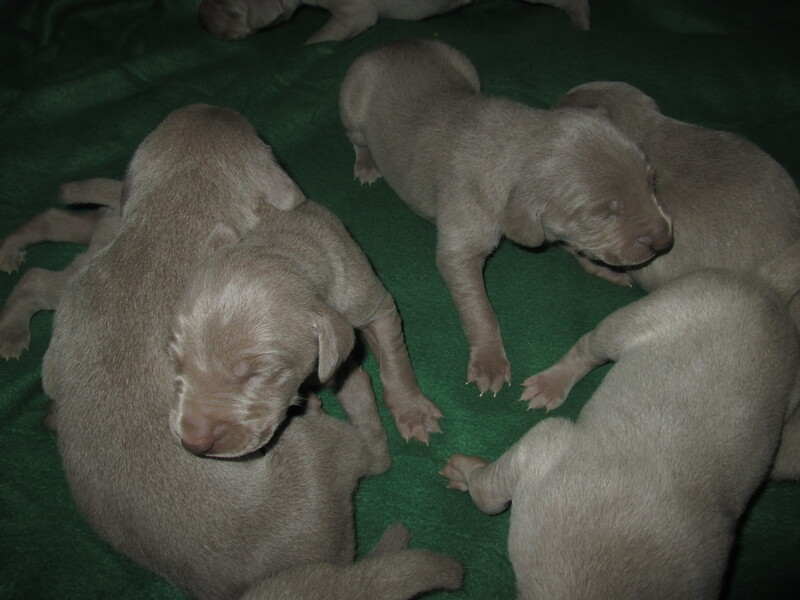 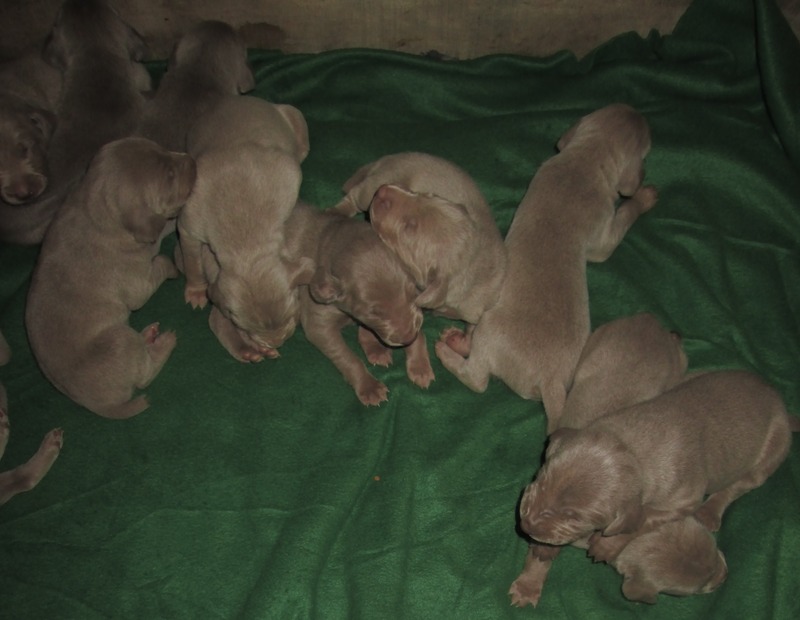 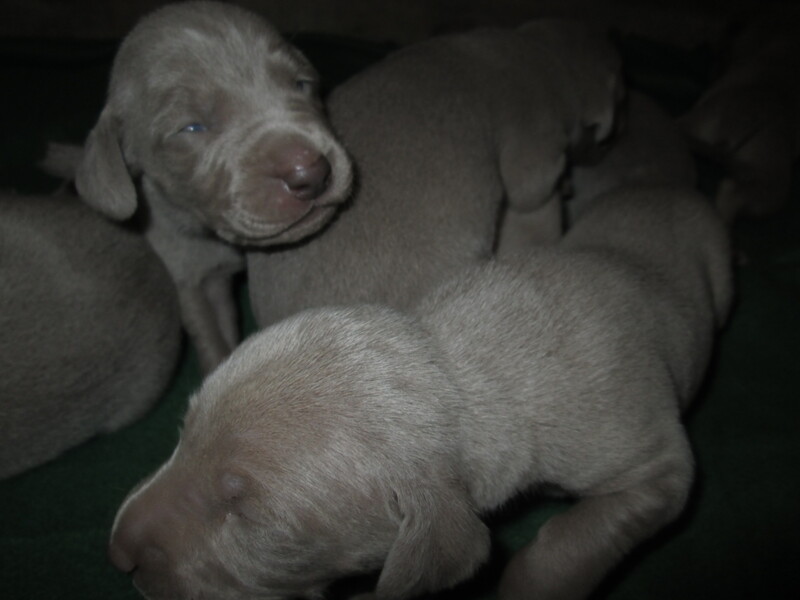 A few puppies of each gender are still available (as of 11/12/15) please contact linda@grouseridge.net or 315.558.3879 for more information.